As with late-night comedians, Rainbow’s targets can be predictable. But what isn’t is that despite his sold-out shows, millions of followers on YouTube and Facebook and growing recognition around the country, Rainbow’s entire production studio is a single green-screen wall in a small apartment in Queens, New York, where a suitcase full of props sits in the corner. 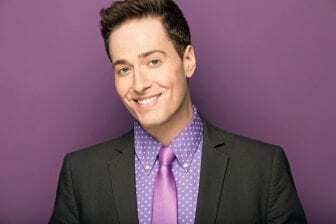 Here & Now‘s Robin Young visits Rainbow (@RandyRainbow) to find what goes on in that third-floor walk-up — and what the neighbors think.